E.T. the Extra-Terrestrial, a 1982 national treasure directed by Steven Spielberg, is a terrific movie about a young boy whose life is changed by the arrival of a small and charming alien. E.T. 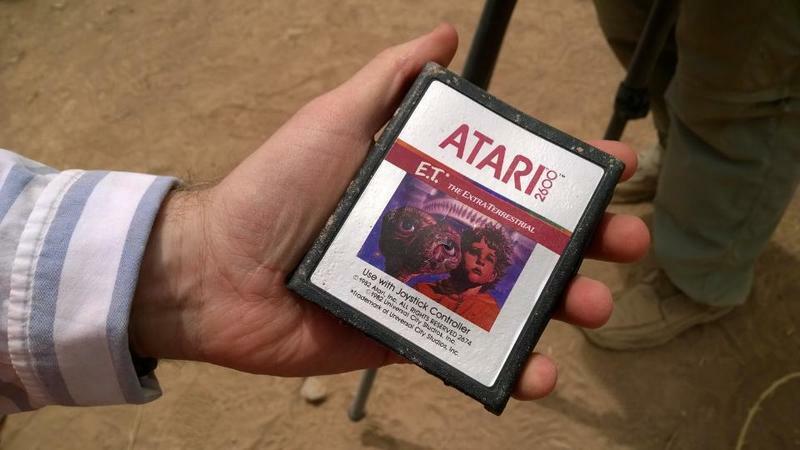 the Extra-Terrestrial game, however, released the same year and published by Atari, is widely regarded as one of the worst the industry as ever seen. Duke Nukem Forever bad, an atrocity against humanity. So bad that, as legend has it, prompted executives to bury thousands of unsold copies in the New Mexico desert. To try and separate fact from legend, a team of contractors and archaeologists today started excavating a landfill in New Mexico to unearth the truth—and, well, turns out the fable was true. Pandora’s box has been opened. Under a perfect desert sun, copies of the game have been triumphantly dug up—a time capsule of 80s horror now being unleashed upon the next generation of gaming. I can only imagine what is must be like for the game’s creators, seeing their work dug up after all these years; someone back then consciously buried their shame, hoping for the nightmare to go away—like trying to bury evidence of a crime—but the nightmare is back. Back in 1982, after the movie’s release, Atari actually purchased the rights to make the game from Steven Spielberg and Universal for a whopping $22 million. But sales were horrendous, and it was a critical failure. Some say E.T., released for the Atari 2600, lead to the downfall of the gaming pioneer; two years later, in 1984, Atari Inc. was split as a result of a huge video game crash the year prior. 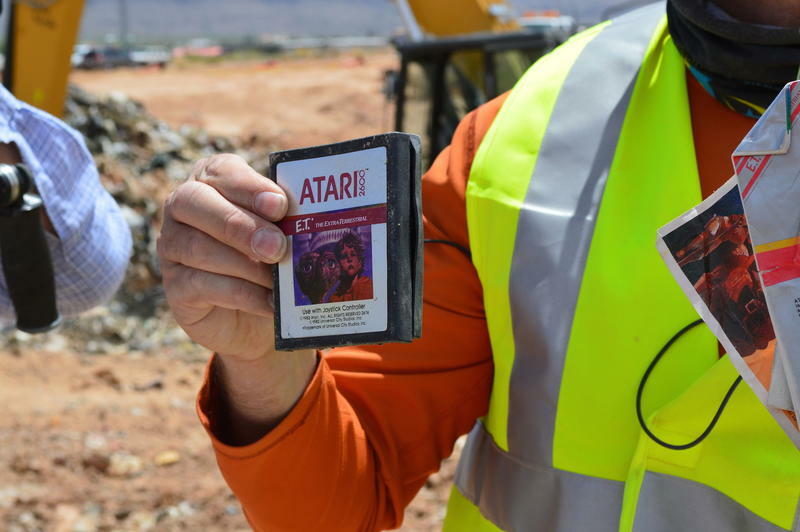 Back then, as the industry was crumbling to ruin, a report from The New York Times claimed Atari had dumped 14 truckloads of game cartridges at a Alamogordo, New Mexico landfill, including E.T.—a symbolic and literal gesture to signal the end of an era. Though, in 1985 (or 1983, depending on where you lived), a new console generation was being borne, setting the foundation for some of today’s most popular games. Scott Warshaw, one of the game’s designer, said the landfill story is just a myth, but others were less convinced—and now the truth is out there. Today’s dig is actually a part of a documentary being made, directed by Zak Penn, who helped pen The Avengers; the documentary will be released as an original program for the Xbox. Meanwhile, the same burial ground will be in a new indie film, Angry Video Game Nerd: The Movie, which is now in production. E.T. the game isn’t particularly rare. 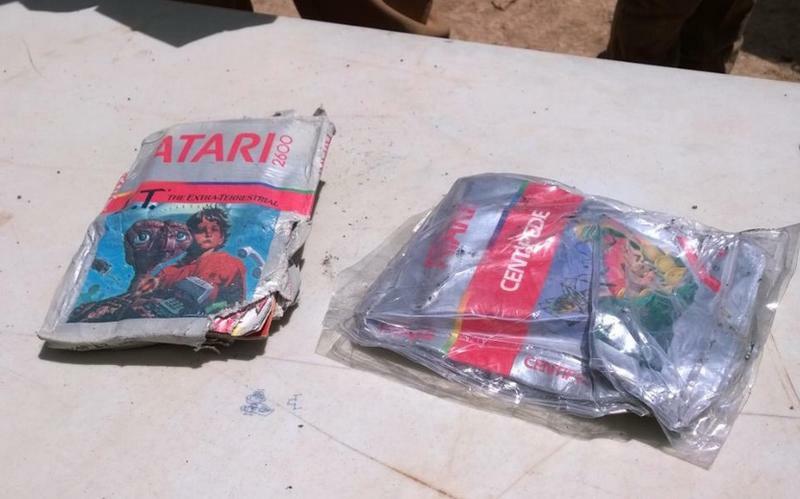 But the story surrounding this mass burial has captivated Atari fans for years, which is why the dig is finally taking place. Among the gaming grave, those involved in the project also believe a terrible, early version of Pac-Man is also there, left to die in an era that imploded in on itself, now exposed for all to see. E.T. has been found. Below, if you’re so inclined, is a walkthrough of the game. Proceed at your own risk.